Do you notice your partner spending more time with their own stuff? Do you think they are not willing to share any household duties? It’s because they have no interest in spending time with you and they are probably thinking about someone else. Your partner will start noticing every little flaw in you and they start to complain about everything you do. It’s their way of justifying the cheating. Your partner would even go to the extent of accusing you of being paranoid. You have to watch out, they’d be probably cheating on you and may use these accusations to manipulate you from the relationship. You chose to be in a relationship with them because you love them for who they are and the way they behave. Because being yourself is the best thing you can expect in a relationship. If your partner is all of a sudden paying more attention to his looks, there is a chance that they are doing it to look good for someone else. If there are sudden changes in them, changes you are not used to, chances are they might be looking someone else. Changes could be in appearance or sudden change in work schedule or anything that you find fishy. If you are in a healthy relationship, your partner should have no reason to lie to you. They must be straightforward with each other, trusting a person who lies with ease is really a bad idea. A relationship takes two people to be successful, it won’t work if you are with someone who only thinks of themselves. People who cheat will be focusing only on themselves. Look at the way your partner treats others, if you start noticing that they are only caring for their own good. You better leave them before they add more misery to your life. 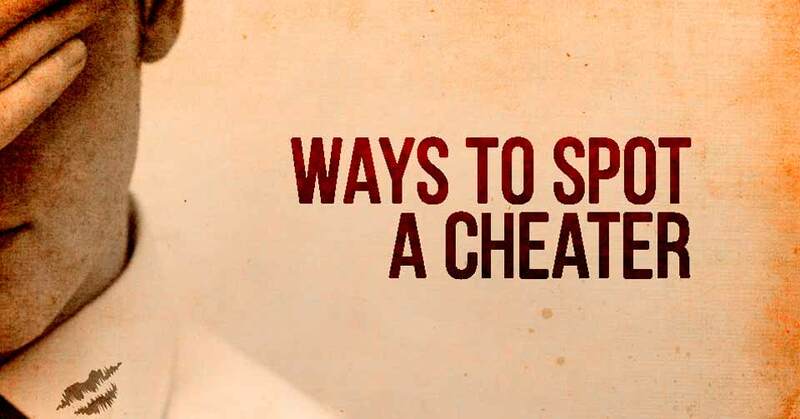 People who cheat often lead double lives, and in order to do so, they will be secretive. And they won’t reveal much about themselves, like what they are doing or why they are late. You cannot make a relationship successful if you and your partner are not 100% open to each other. Your partner doesn’t have the right to hide anything from you. If he/she does so, they are probably cheating on you. You could ask these certain questions to your partner and based on how they response you could find if they are cheating on you. * Can I meet your parents? * Will you introduce me to your friends as your date? * Can I meet you at your workplace? * Can I use your cell phone today? * Do they stay out late regularly and you can’t reach them when they are out? Well, they may be busy at work, but if this is happening very frequently you might need to check on them. They might be cheating on you. * Do they spend a lot of time on their phone texting, there is a chance they might be cheating you. To make this sure, try walking near your partner when they are on the phone, if they lower their voice ends the conversation quickly, there’s a chance that they might be cheating. * They won’t be there when you need them the most. And they would stop showing interest in helping you with your task. They may not reply to your texts and their phone might be turned off. If they are unreachable at times you need them the most. It’s because they are trying to get away from you and they are probably looking someone else. * They would respond to you in a confusing way. Whenever you ask them about coming late, they would make up stories that don’t match up. They are probably lying to cover up their tracks. So if you hear stories that don’t match up, there is a sure chance they are cheating on you.